One of the great things about WordPress is the thousands of high quality themes available for the platform. What is a theme? 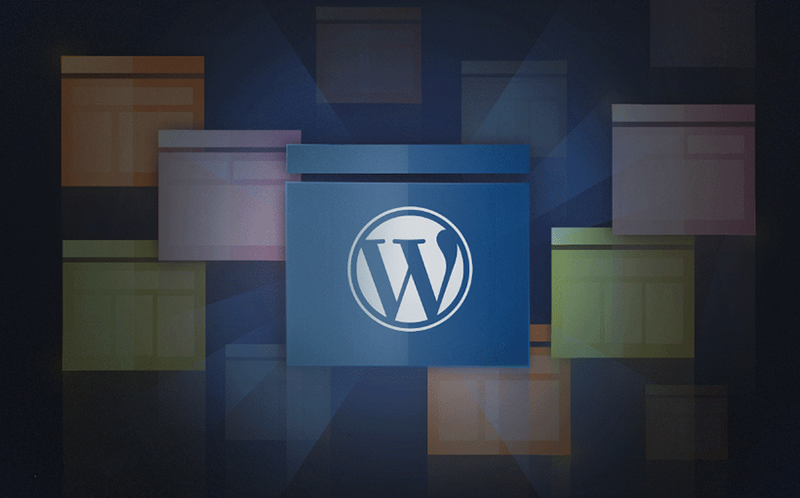 A WordPress theme defines the look-and-feel of your site, or its design. The theme contains a specific set of style sheets and templates that determine the fonts, colors, styles and layouts of the pages within a WordPress website. Themes in WordPress can be installed and activated, rapidly transforming the way your whole site looks, much like a paint job and window tinting can transform the look of your car. The car interior and engine remain the same, but it looks very different on the outside. With WordPress, you have a couple of options when it comes to choosing a theme for your site – you can have a professional web designer create a custom theme for you or you can purchase a pre-designed, commercial, theme. Both of these approaches have pros and cons. There are many attractive choices. Not only are there very well-designed options but, increasingly, there are options for specific types of businesses. Are you looking for a spa theme? There are tons of those. Do you need a well-designed real-estate theme? No problem. They are a great value. Most commercial WordPress themes sell for anywhere from $29 to $99. Compared to the cost of having a professional graphic designer create a custom designed website, this is a fantastic value for your money. They enable you to get up and running quickly. Rather than going through a custom design process, which can be time consuming, commercial themes enable you to get your site up and running quickly. Just install the theme and start adding content. They are highly customizable. Many commercial themes today give you control over every aspect of the theme, including the header, footer, background, font styles, colors, etc. The more attractive the theme you’ve chosen, the more likely 10,000 or more other website owners have purchased the same theme. Therefore, your website ends up looking exactly like a lot of other websites. While there are more and more industry-specific themes, they still aren’t as specific to your business as a custom design would be. And while you can customize a theme, if you try to customize it too much, it may end up taking longer and costing more than if you had just had a designer start from scratch. Because they are so highly customizable, many commercial themes have become bloated with all of the features they have added, causing sites based on these themes to load more slowly. Since the underlying code in a commercial theme can be viewed by anyone that is willing to pay the $29 – $99 entry fee, hackers can gain access to the entire code base, review it for bugs and if they find any, search Google for all sites based on this theme and hack them. For this reason, hacking a commercial theme is one of the primary entry points that hackers use to compromise WordPress websites. Good theme developers recognize that due to both the security issues explained above, as well as the need to be competitive in the market place, producing regular upgrades to their theme is a good thing. The problem with this, however, is that it creates a greater burden on site owners to stay up to date, constantly downloading and applying the latest theme update provided by the developer. And theme updates are the primary cause of site glitches, increasing the potential that after a theme is updated, some or all of your site will look different or be broken in some way. They are more costly. You need to pay a professional designer and web developer for their time which is typically orders of magnitude more expensive than buying a commercial theme. They take longer to produce so you can’t get your site running as quickly as you could with a commercial theme. They are typically less customizable. While a web developer could build all of the bells and whistles into your theme that a commercial theme has, this is typically not done as it’s impractical in terms of how long it would take. This means that certain types of changes to your site down the road might require help from your web developer. They are unique and can be more specifically designed and branded for your company. All large companies custom design their websites to enable their creative teams to build a site that is distinct, has personality and is consistent with the overall company brand. Because the underlying code of a custom theme is developed just for you, hackers don’t have access to it. As a result, custom themes are far less likely to be hacked. If a developer isn’t trying to build everything and the kitchen sink into a theme in order to make it appeal to the widest audience possible, they can focus on adding only the code needed for your site. This makes for much more light-weight, fast-loading themes. Since a custom theme is less vulnerable to security issues, there is little need for your developer to put out constant theme updates. As a result, the cost of maintaining a custom theme over time is typically far less than with a commercial theme. No theme updates equates to much less breakage in your site over time and therefore less maintenance. The decision of whether to go with an off-the-shelf, commercial theme versus a custom designed theme often comes down to a question of budget. A custom designed theme is the direction that most businesses want to go if they can afford it. The simple fact that they are uniquely designed for your business, like a custom brochure versus one you might produce at Kinkos, means that they will better represent your company’s brand online. The additional fact that, if produced by an experienced developer, they will be more secure combined with the improved speed benefits of a custom theme make it a no brainer for companies that have the budget.